Want to Join Us a Composer? We are always interested in hearing new music in all styles. Please read the following to see how we work. Generally, our terms offer a 50/50 split on revenue and 2-5 year term depending on the specific agreement. We will provide more information upon hearing your music and knowing what agreement type you are interested in. We will provide more details if your music is what we're looking for. Due to changes in our business and the industry, we are now concentrating mostly on Exclusive Distribution. As such, we take very few non-exclusive tracks these days. We only take non-exclusive music where it fills a gap in our library or if the quality blows us away. 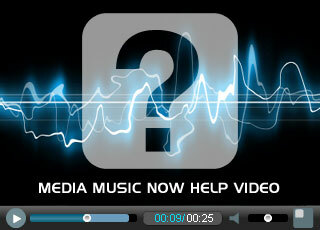 If we can use your music it will be available on MediaMusicNow (or any other sites we own and sell licenses from). You can also sell your music elsewhere non-exclusively. Selected music will be available on MediaMusicNow (and any other sites we own and sell licenses from). We will also distribute the music we take on to other music libraries we work with. However, if you wish to submit your music to a library we don't work with then you can do so as long as their terms do not conflict with ours and the libraries we work with. Selected music will be signed exclusively to us as the publisher and distributed via MediaMusicNow (and any other sites we own and sell licenses from) as well as other music libraries and other revenue opportunities. The terms of the three agreement types vary, however, the general terms are detailed below and apply to all. We want original music that you own and control 100% of the copyright and recording. We are looking for high-quality music and hand pick every track. We may not use every track submitted to us. Music must be fully mixed and mastered to a high-standard. You must not be in an exclusive agreement with any other company. If you are in content ID we must be able to clear claims on your behalf. For example, Adrev allows this. If you are in a PRO you must also be able to direct license your music. We will need an official form of photo ID. We may ask for proof of ownership with your music. We require content descriptions, tags, categories etc. Please fill out the following form and follow the instructions. Music submissions are subject to an approval process. Due to the large number we receive and limited time, we can only get back to you if we feel that your music matches what we're looking for. If you don't hear from us, please do not take this personally, there are many reasons that we don't take music on.